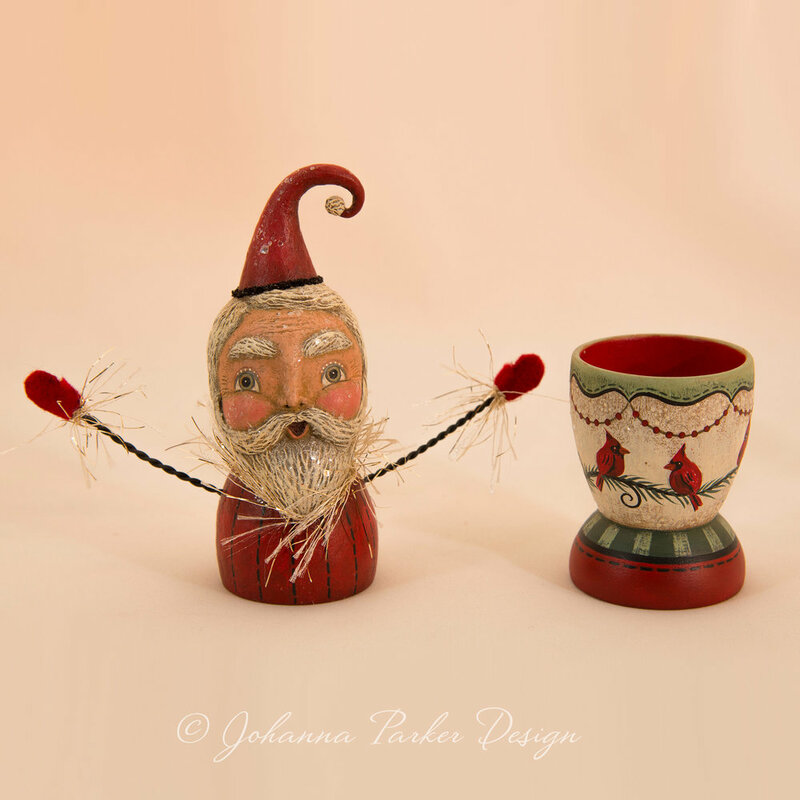 Cardinal Santa Egg Cup - SOLD - Thank you!!! This sweet Santa fellow is a two part candy container. 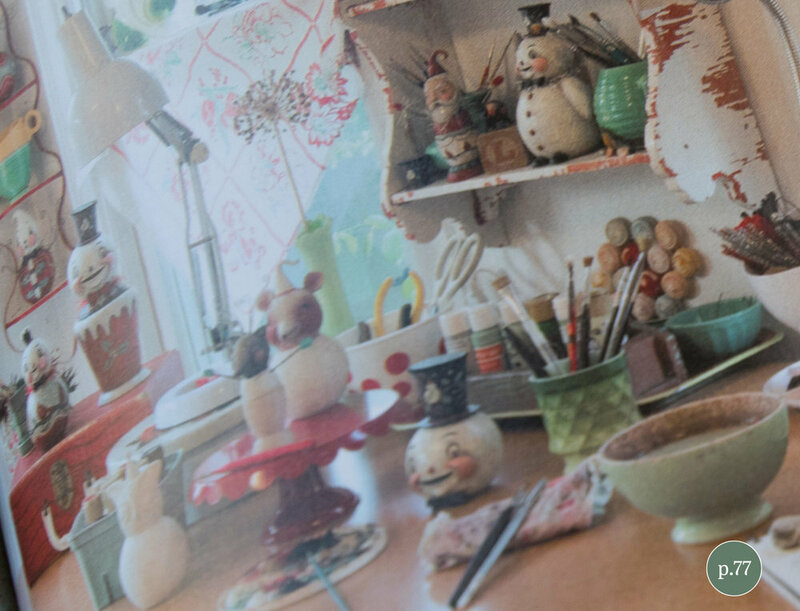 Lift his head to reveal a decorated egg cup below. He wears a whimsically sculpted stocking hat with snowball tip and a glass glittered brim. 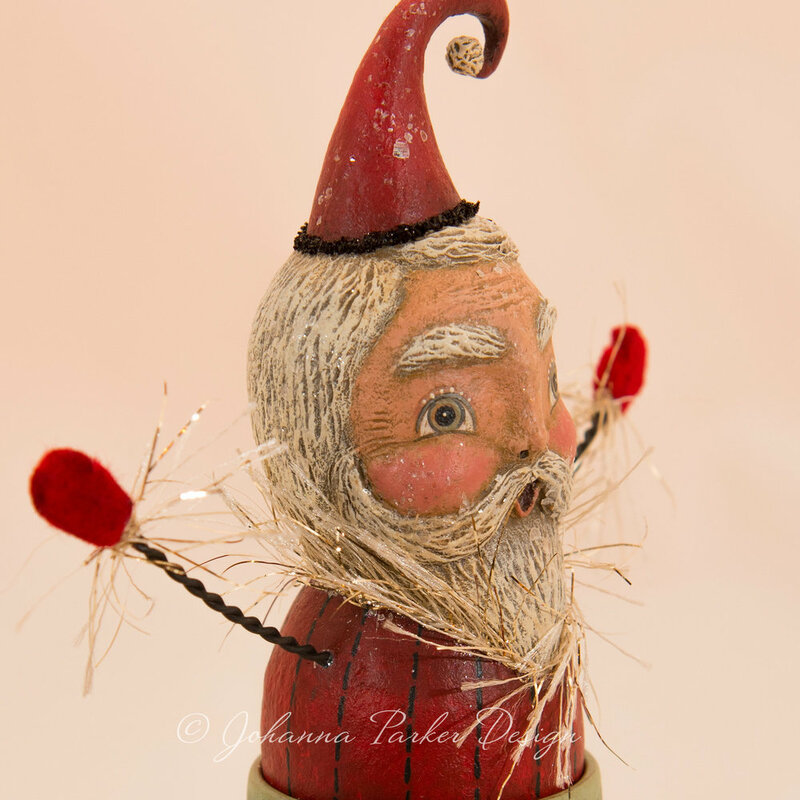 An intricately sculpted beard and face with delicate features bring this jolly fellow to life! Perching cardinals on pine boughs, cranberry garlands and patterns surround and adorn his wooden base. Wiry arms with red felted mittens are raised to welcome the season! A creamy and gold wisp collar and cuffs give him extra texture and shimmer. He is lightly dusted with mica for added Santa magic! This little character made a few cameo appearances in Johanna's current Where Women Create magazine article! Can you spot him? A Johanna Parker Design original!